In a previous article about how to secure your first appointment to a major company board, we advised that you treat it as you would a job search. That is, think carefully about what kinds of companies fit your talents and interests; then network, network, network to ensure that your name is in the conversation when boards are discussing their next director. But what happens when your efforts begin to pay off? When a director or CEO or search professional approaches you about possibly joining the board of a particular company? This is what you’ve been working toward; why not just say yes and jump in? After all, board vacancies are few and far between; the bar for candidates is high, and even getting on the shortlist is quite an accomplishment. Nevertheless, you should proceed with caution. When you are trying to get yourself on the radar screen, you are dealing with a large universe of possibilities. But when you become a candidate, those possibilities narrow to a single reality—a specific company, board, and CEO. You need to make sure that the fit is right for you before you begin the interview process. Why before? Because the process can be spread over many months and involve separate interviews with several board members, the CEO, and the nominating committee. Withdrawing from consideration late in the game wastes all of that time and effort for you and the board. If you are the leading candidate, it could even send them back to square one. And it could make other boards hesitant to consider you in the future. Further, your tenure on the board could last a decade or more: as the old saying goes, marry in haste, repent at leisure. What will I gain by serving on this board? Does the board embrace worthy values? Are these directors that I will learn from and value working with? What do I think of the CEO? Am I passionate about what the company does? In answering these five questions you may find a clear deal breaker—a board that wants you only as a token, a CEO you believe is taking the company where it should not go, or a board that doesn’t share your values. You may also find a deal clincher—a distinguished board of unquestioned integrity, a gifted chief executive who values the board’s input, or the chance to learn things you can take back to your company. In all likelihood, your answers will be mixed. In that case, you need to weigh them all carefully and determine if, taken together, they add up to a generally positive picture of a board performing reasonably well (even if the company is not), a business you care about, and an opportunity for you to contribute. If so, communicate your interest without equivocation. If not, decline as politely and diplomatically as possible, withdrawing from further consideration without closing any doors for good. After all the time and effort you have put in and the scarcity of openings, you may find declining painful. But you got this far, and with persistence you likely will again. And when in good conscience you can fully embrace the opportunity you will get even further and add enormous value as a director to the shaping and success of a company. 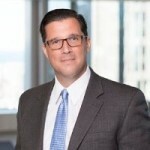 Gregg McDonald is a Managing Partner at Heidrick & Struggles (Nasdaq:HSII), the premier provider of leadership consulting and senior-level executive search services. Gregg’s previous executive roles include assignments as the Global Automotive Practice Leader for Russell Reynolds and as a Global Marketing Executive for General Electric. Follow him on LinkedIn.